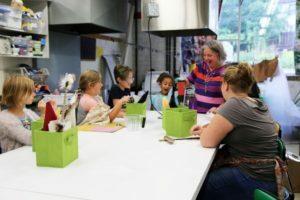 Whether your child is an aspiring textile artist or simply has a passion for the arts, we offer 24 camps for ages 6–16. Plan a summer your child will remember forever. Summer Camps: Important Information for Parents - Please Read! Camps rates are listed individually. 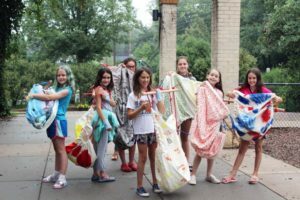 Textile Center members save 10% on all camps. 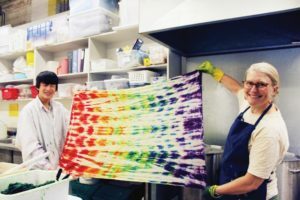 Weavers Guild of MN members are also eligible for the membership prices on select co-sponsored camps. All camps are subject to change. Payment must be made in full at the time of registration. Spaces cannot be held without payment. Student information and release forms are required for participation in our camps. Find forms required for participation HERE. Student forms may be mailed, emailed, or brought in on the first day of camp. We will also have extra copies at check-in. Please bring a non-perishable, nut free snack to minimize exposure to students with allergies. If your child is staying for both morning and afternoon sessions, please pack a lunch along with snacks. We highly recommend students bring a water bottle, as we have a water fountain on site. We encourage students to bring a book, puzzle, or game for the lunch hour and ask that all electronic devices be left at home. Students will not be permitted to leave Textile Center property during the lunch hour. We are committed to providing high quality one-on-one instruction in all of our classes. For this reason, all classes are limited to a maximum of 8-12 students. Textile Center offers a limited amount of scholarships based on need. Scholarships are given on a first come, first served basis. View the Summer Camp Scholarship Application HERE. Recipients will be notified in May 2019. We occasionally have to cancel a class because we do not have enough students registered. We make every effort to let you know about any cancellations as soon as possible, before the class is scheduled to begin. Full refunds will be issued. Please help us by registering early for your camp! Camps are for students ages 6 – 16. Please respect the ages listed on the camp description. We have worked closely with the instructors to design these classes so that every student can be successful. To be fair to all students, we need to respect the listed ages. You can register online here, by calling Textile Center at 612-436-0464, or mailing in a registration form by downloading the form HERE. 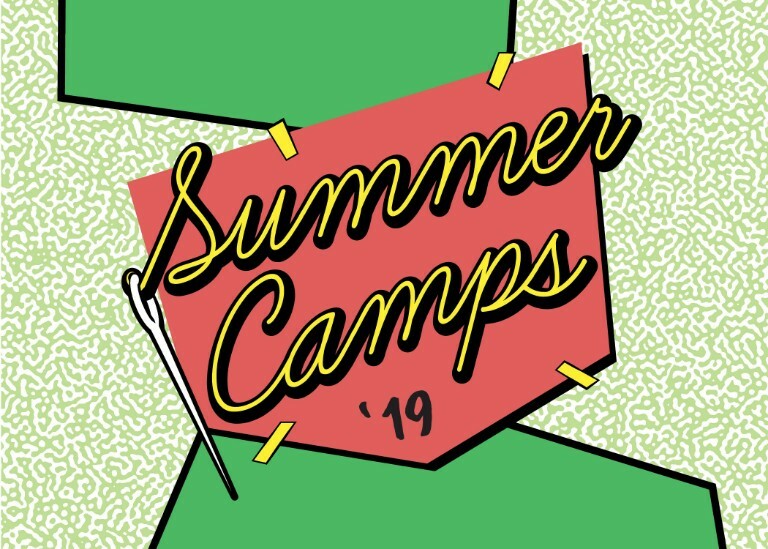 View Summer Camp Brochure PDF HERE. You can access us from the west via Arthur Avenue or from the east via Malcolm Avenue.? On the first day of class, please accompany your child for check in, regardless of age. This will only take a few minutes. Drop off and pick up occur in the parking lot immediately behind the Textile Center. Campers and parents must only use the back door marked with a summer camp sign. For safety reasons we require all parents check out their student at the end of class, unless communicated otherwise. Map and directions can be found at textilecentermn.org/map. have to come late or leave early, please notify us ahead of time. If you are delayed for any reason, please call Scarlett Larson or Lisa Loudon at (612)436-0464. Late pick-up costs will incur. Our programs and facility are ADA accessible, and we are committed to accommodating youth with special needs. 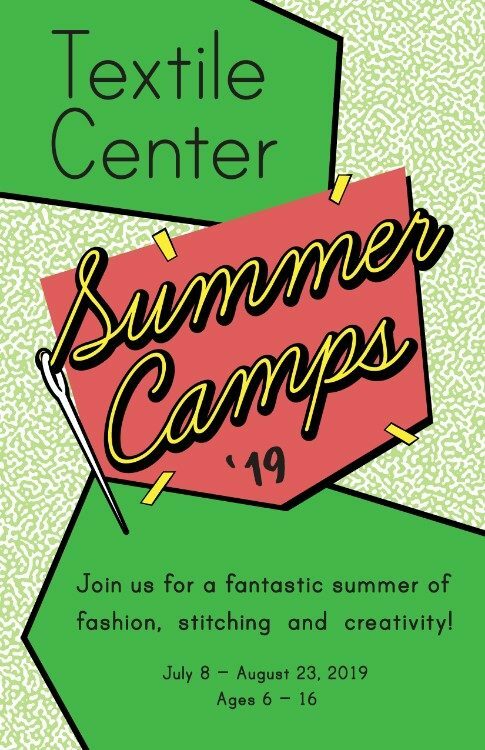 If you have a child with special needs, we ask that you contact Youth Education Coordinator Scarlett Larson at least one week in advance of the camp at slarson@textilecentermn.org to discuss arrangements.